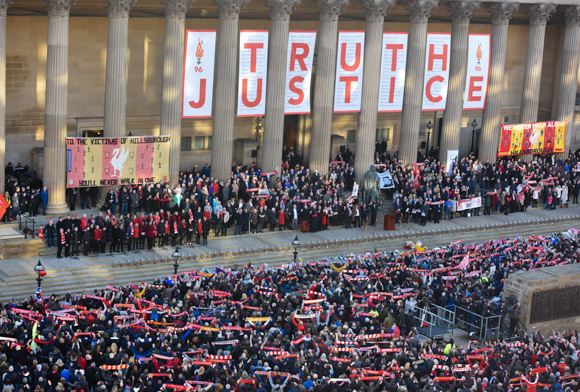 Thousands of people attended a poignant commemoration to mark the end of the Hillsborough inquests at Liverpool’s St George’s Hall. 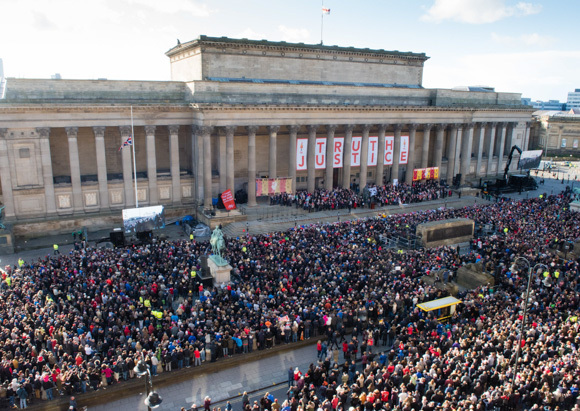 More than 20,000 people came together for the evening of tributes, music, speeches and moments of reflection in memory of Hillsborough’s 96 victims. It came after an inquest jury ruled the 96 Liverpool FC fans were unlawfully killed in the 1989 tragedy and supporters played no part in causing the disaster. 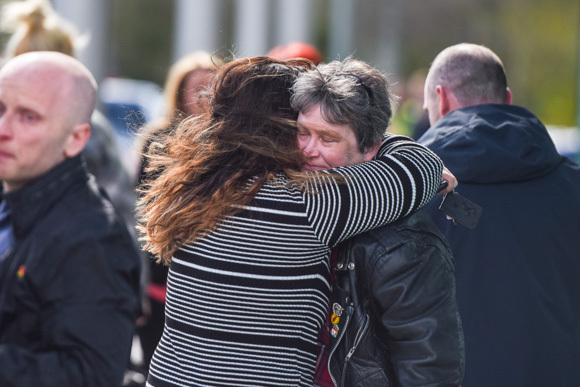 The verdict of the new inquest into the 1989 tragedy is a huge victory in a long-fought battle for justice by the families of those who lost their lives. The victims’ families and survivors have fought for 27 years against South Yorkshire police claims that misbehaving supporters caused the disaster, as well as against the 1991 verdict of accidental death. 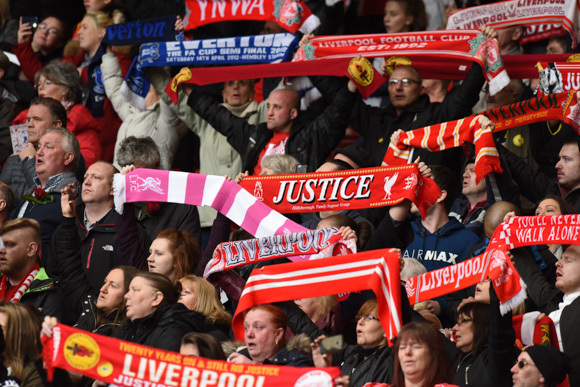 They have relentlessly condemned police claims that Liverpool supporters at Hillsborough contributed to the dangerous situation that developed outside the football ground. And today the longest serving jury in British legal history also rejected those claims – deciding the behaviour of fans did not contribute to the horror at the Leppings Lane turnstiles. In a statement following the verdict, Labour MP Andy Burnham, who had long called for a new inquiry into what happened, called this the “greatest miscarriage of justice of our times”. He said: “This has been the greatest miscarriage of justice of our times. But, finally, it is over. 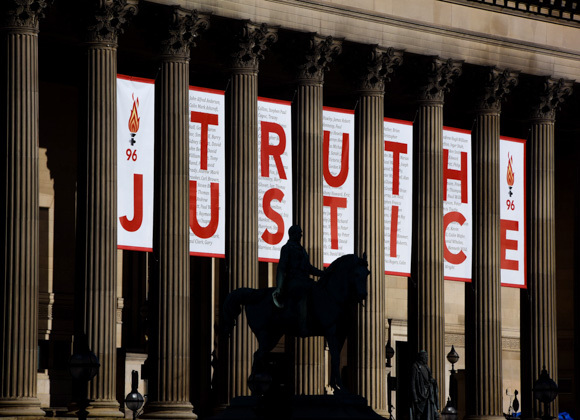 After 27 long years, this is real justice for the 96, their families and all Liverpool supporters. “The survivors of this tragedy can finally be remembered for what they were on that day – the heroes of Hillsborough who tried to help their fellow fans. “The Hillsborough Independent Panel gave us the truth. This Inquest has delivered justice. Next must come accountability. “For 27 years, this police force has consistently put protecting itself above protecting those hurt by the horror of Hillsborough. “People must be held to account for their actions and prosecutions must now follow. “Disgracefully, lawyers for retired police have attempted to continue the cover-up in this courtroom. They made it an adversarial battle in defiance of the Lord Chief Justice’s ruling. 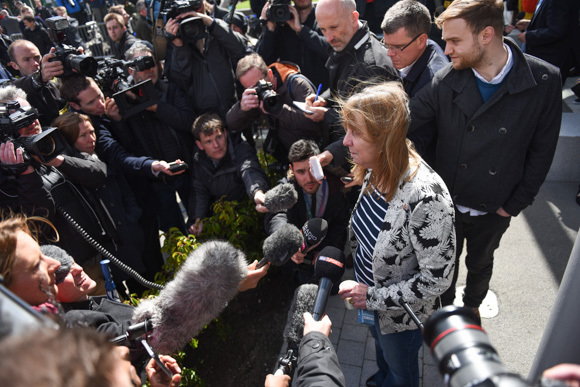 “This has been brutal on the Hillsborough families and put them through hell once again. “The current leadership of South Yorkshire Police needs to explain why it went back on its 2012 apology at this Inquest, prolonging the agony for the families. “The sense of relief we feel is tempered by the knowledge that this day has taken far too long in coming. The struggle for justice has taken too great a toll on too many. Police planning errors and improper safety measure at the stadium “caused or contributed to’’ the dangerous situation that developed on the day of the Hillsborough disaster, the jury have concluded. And errors by Sheffield Wednesday FC in the management of the stadium and preparation for the semi-final match on the fateful day on 15 April caused or contributed to the disaster. Following the verdict MP for Liverpool Walton Steve Rotheram, who witnessed the tragedy unfold, released a statement. He said: “I have waited 27 years for this moment. But I know it comes too late for many. I was there on the day and saw the horror unfold before my very eyes. “Before we’d even buried our dead, the hurt of loss was compounded by the lies and smears. I remember picking up a newspaper and feeling sick to the pit of my stomach. They inflicted terrible pain on a city at its moment of maximum grief. “I’ve seen how friends have suffered. This is a momentous day but they should never have had to wait so long. The jury responded to 14 questions put to them about how the 96 people died at the FA Cup semi-final between Liverpool and Nottingham Forest on 15 April 1989. Story to Sell or Story to Tell? Let us handle your real-life story. Our team are experts in dealing with magazines and newspapers to get you the very best deal. Looking for an event photographer? Find out how you can book one of our award-winning photographers, for your project or company portfolio.